Athas Tours tailor your guided walks to provide you with the best experience of Galway. Visit Lynch’s Castle, the old city walls, and the Claddagh. Listen to the many stories, myths and tales of the various people who shaped this city, into what it is today. 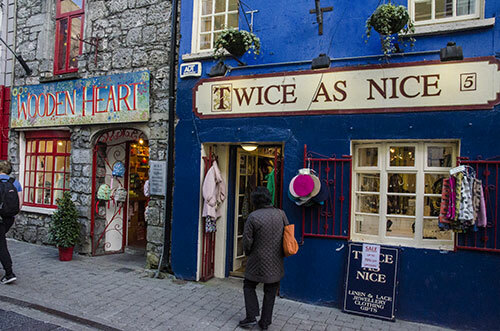 You will leave the tour knowing a lot more about Galway, it’s people and of course, it’s history. This is a city of the old and new. A city of diversity and sameness. We have a city full artists, dreamers, world-famous theater and street performers. 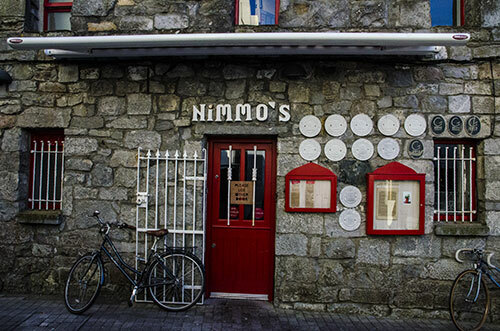 Musicians of the highest caliber are found on the streets and in Galway’s many pubs and venues. There are numerous street traders along with more up-market shopping experiences to be had. Galway’s night life and social scene is some of the best in Europe, with festivals throughout the year. Galway caters for writers as well as horse racing fans. Boat lovers mingle with those who love music festivals. There is something for everyone during the ‘City of the Tribes’ calendar of events. Our key aim is to help wrap your much-deserved break around these events. Explore the city made famous by Steve Earle and later Ed Sheeran in they’re songs titled Galway Girl. Should you have any tour preferences, do let us know. We will endeavor to shape your day into a brilliant memory full of fun and mutual experiences. The city has 300 doomed Spanish Armada sailors buried within one of its graveyards. Executed for being in the wrong place at the worst of times. Galway had 14 Tribes – families who came to dominate the economic and political landscape. One of them even hung his own son out of duty and believe in justice. Ed Sheeran once busked in Galway. He said it was the best day’s money he ever earned anywhere. He sang outside a shop called the Treasure Chest. A musical journey through the city would be a brilliant idea. The new and the old come together on the streets and in venues. John Wayne once stayed in Hotel Meyrick during the filming of 1950s classic, The Quiet Man. The American link with the city is a big one. John F. Kennedy noted this in his 1963 speech to thousands of ordinary Galwegians. The Church of Ireland St. Nicholas’ Collegiate Church is the largest medieval church still in everyday use in Ireland. It was founded in 1320 and enlarged in the following two centuries.